I'm off to watch Cooper at his First grade field day! Summer is SO close we can hardly wait! Today I am linking up with a few of my favorite blogger friends Andrea, Narci & Erika for Friday Favorites! Before I get started, have y'all been following along on Erika's Instagram?!? Oh my heart. If not, you need to go right now & do so! They are currently in China picking up their beautiful baby girl! I can't wait to hear her story! My mama use to make this when I was a little girl & I love it. I made it as our dessert for our Mother's Day lunch on Sunday. It is SO good! Once cooked and cooled, flip the Bundt cake pan over onto a plate & enjoy! Another favorite from this week was our family pictures that we took on Mother's Day! Except pssst ... hers are remakes but smell like real ones [y'all know that sweet smell] & I got hers off Zulily last month for $10! I get a lot of her remakes from there & they are perfect! If you want the real deal, just click the link I have shared .. if not, check out Zulily. They have them often! 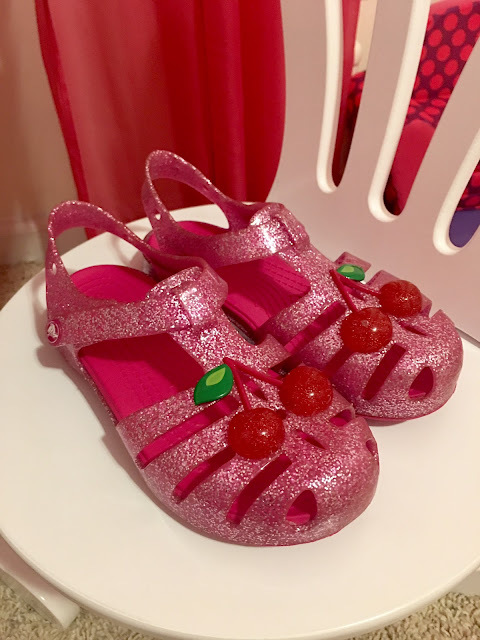 Shay, over at the Mix and Match Mama blog, shared these Crocs a few weeks ago & I FINALLY bought some for my girl! Baseball days are my favorite. Love that #9 SO much! Last summer I chopped my hair off & yesterday I decided to do it again & I LOVE it! And since I have one of my favorite shirts on in number six, you can read my post all about it here that I shared last week. By the way ... that vest is also a favorite of mine! Before I go, in case you missed it, yesterday I shared my heart in a post about my sweet hubby ... the man who also lost his baby girl last May ... & our journey through miscarriage. I hope y'all have such an amazing weekend! Thanks Jenny! I hope you have the best weekend!